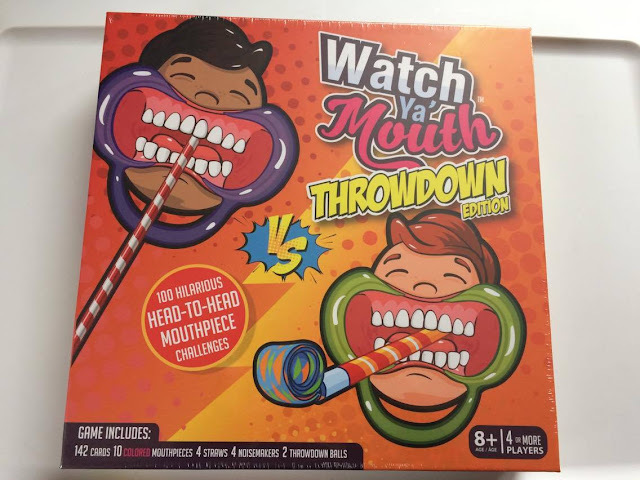 I was very excited that I was able to get the opportunity to receive and review the New and fun Watch Ya Mouth Game. It is for ages 8 and above that need 4 or more people play the game. I got the game in the mail faster and the shipment was amazing. I don’t see any signs of damage that I was able to open and examine further what is the sequence of the game right away. All the parts of the game are complete, except for the challenges that needs to be done. You need to make sure that you will have cups, tissues, papers and more to perform that test. As for our familiarity, we didn’t know about the challenges until we actually started the amusement, pulled the Throwdown cards and played the game. 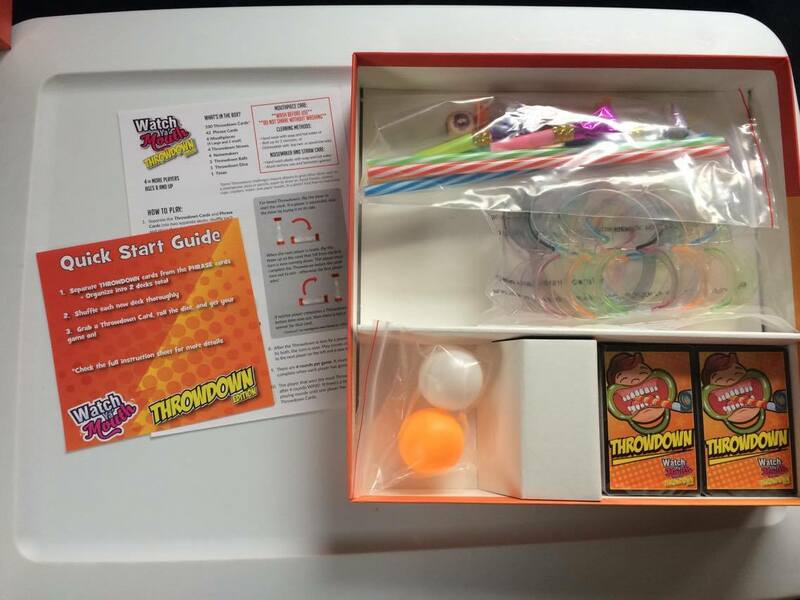 And every Throwdown has to stop and get the things that is needed for the challenge. 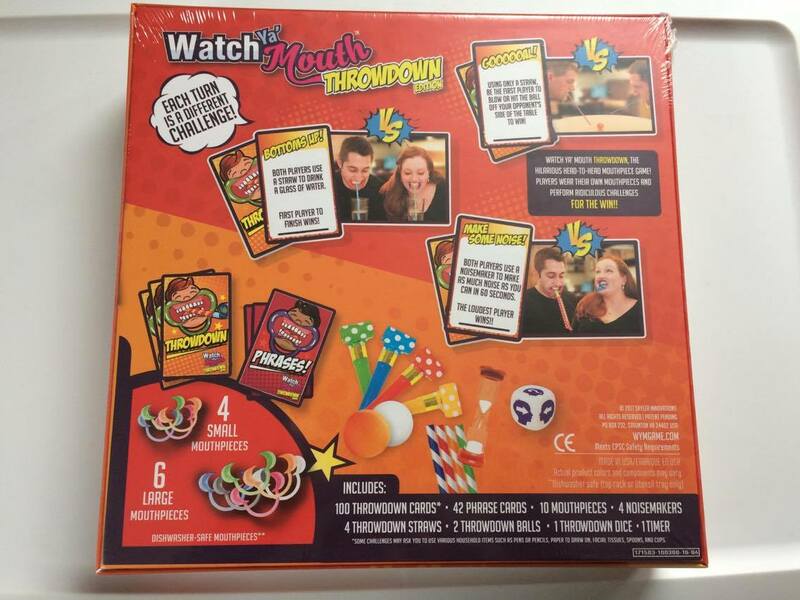 The instructions are a little bit confusing because there weren’t enough details or specific rules to make and even though that it was stated on the manual, players need to come up with their decisions about the challenge. 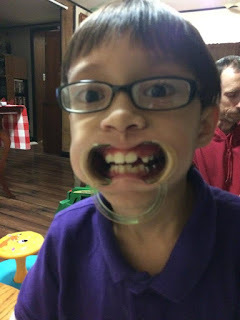 It was really enjoyable, my 7 years old understands each instruction and you truly drool because of the mouthpiece. It was fascinating, and each challenge also ends quickly. Depends on how the players cooperate. There are phrases are amusing to say and there were hard and easy to verbalize. It’s hilarious too when you have on the mouthpiece. Although, at first it is uncomfortable to wear, yet, in the long run you will get used to it. 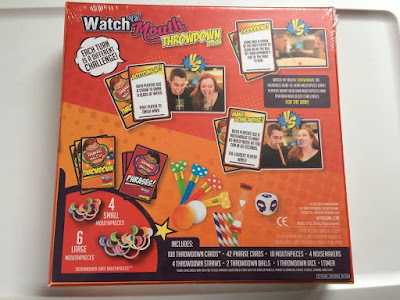 We only have 4 rounds because we did have one player who actually get more Throwdown cards. And that was the end of the game. It takes an hour or so to take part in the whole game, especially when you don’t have all the things that you need for the challenge. Other than that, this is one family game to have. Definitely, will play this game again and this time. I will be able to gather all the things needed for the match. This is perfect for a Holiday Gift idea to give to those family or friends who loves games.